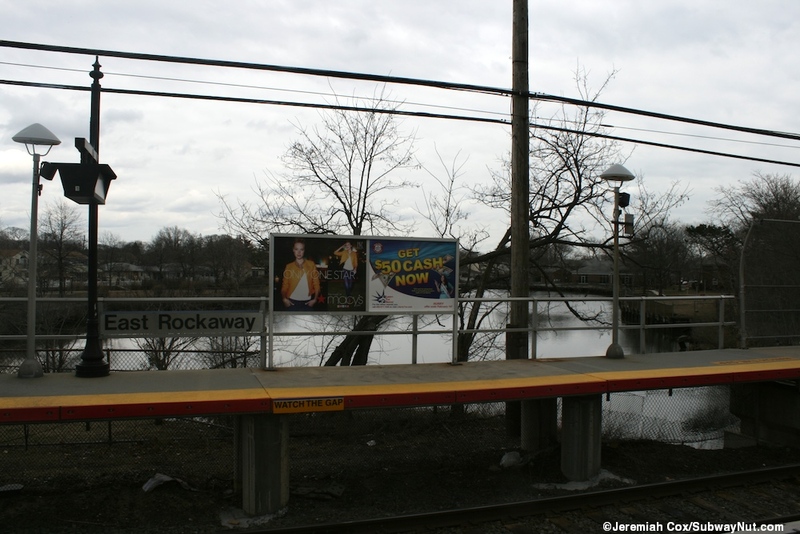 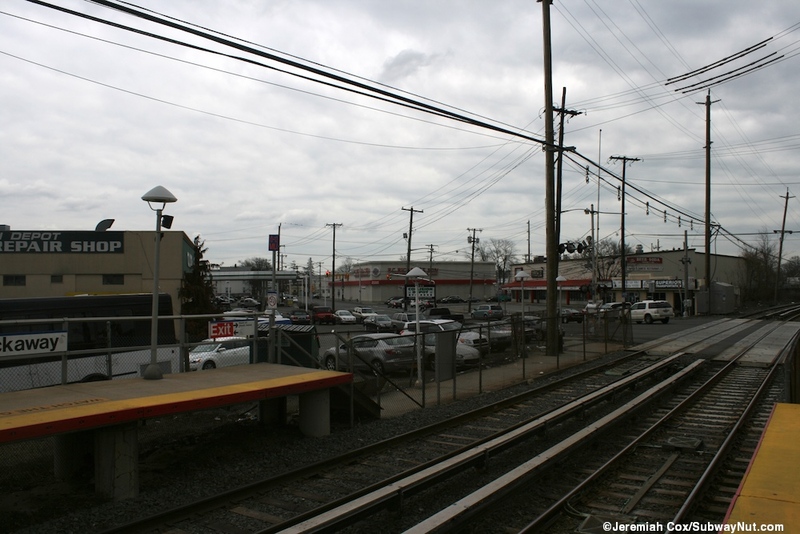 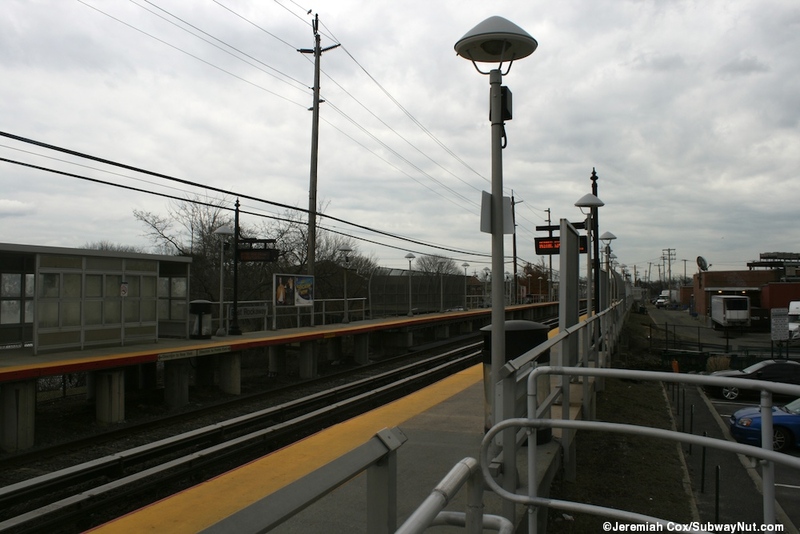 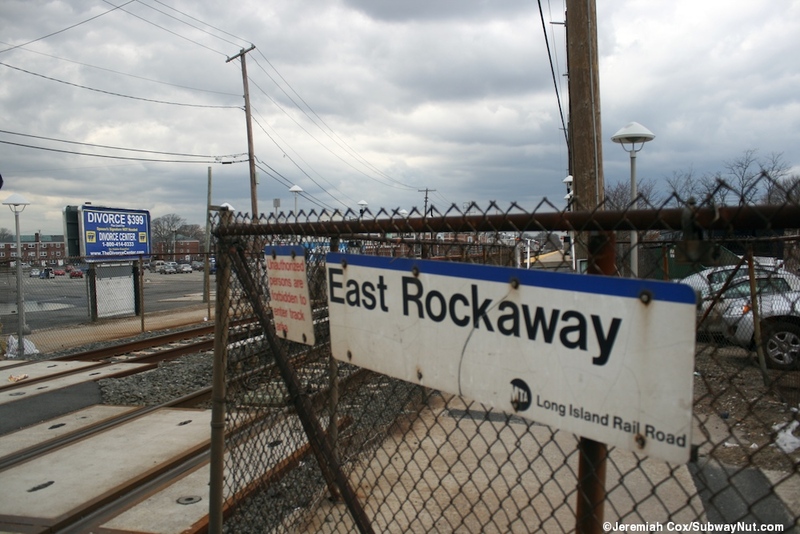 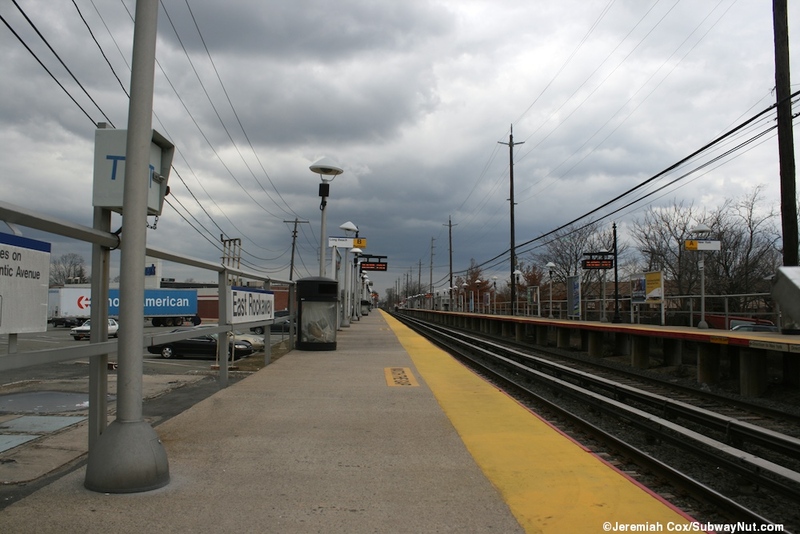 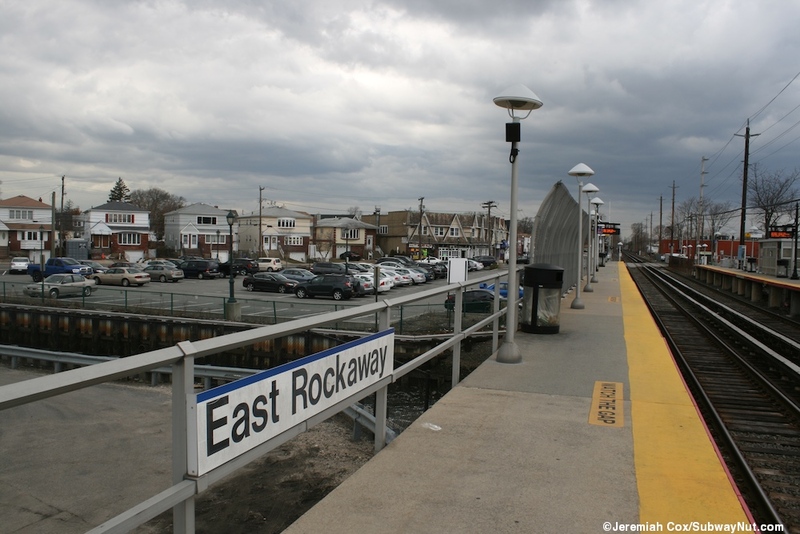 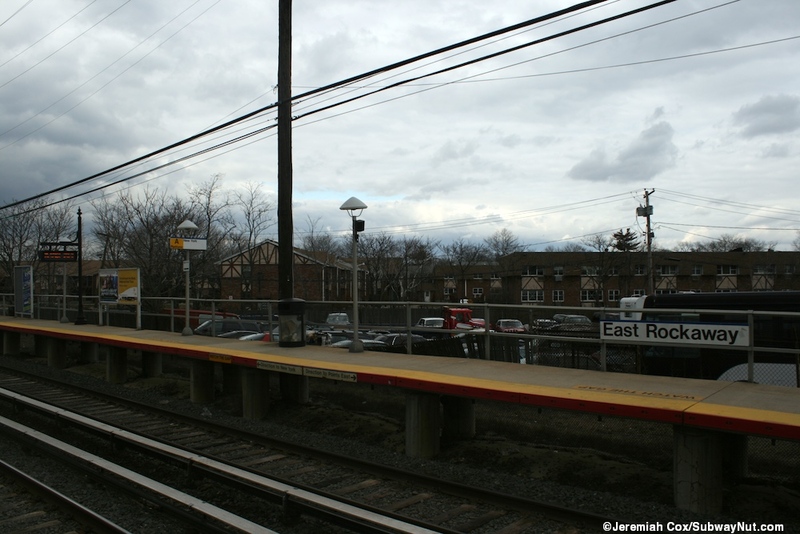 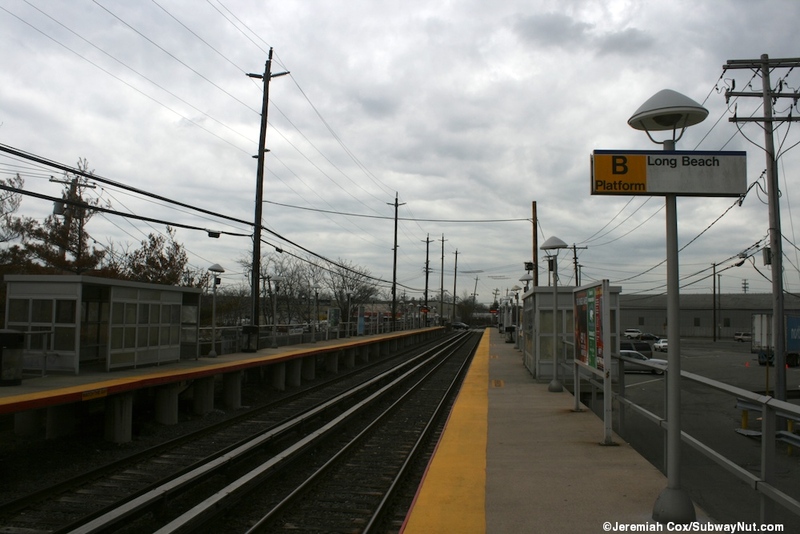 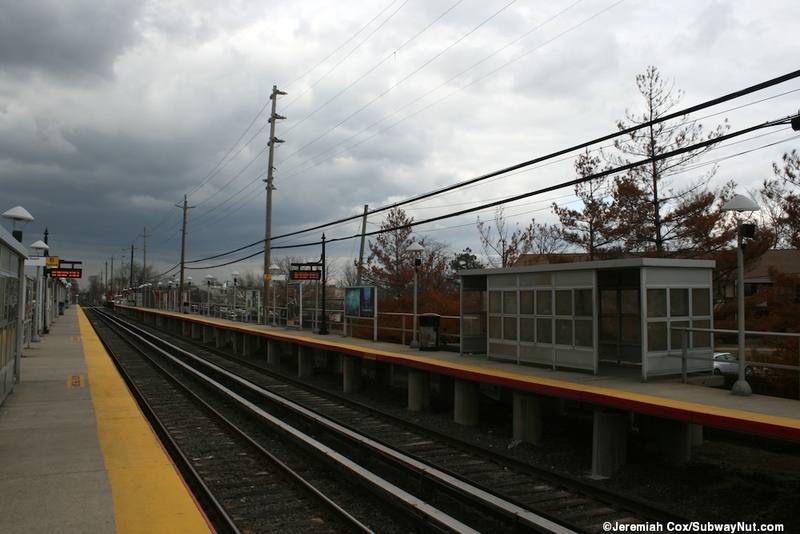 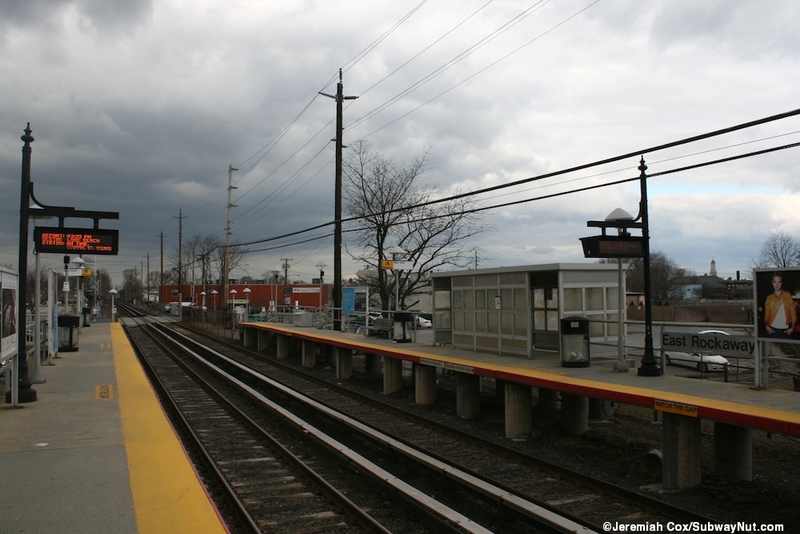 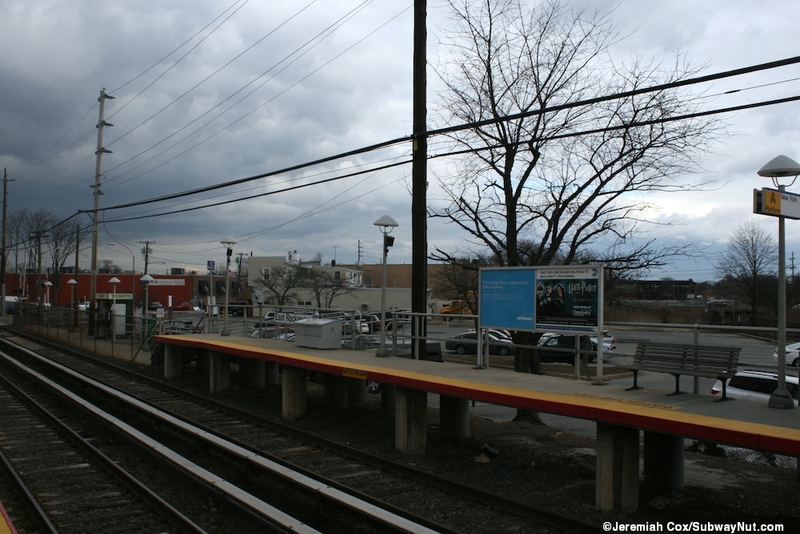 East Rockaway is a simple two-track LIRR station on the Long Beach Branch that lacks a station house. 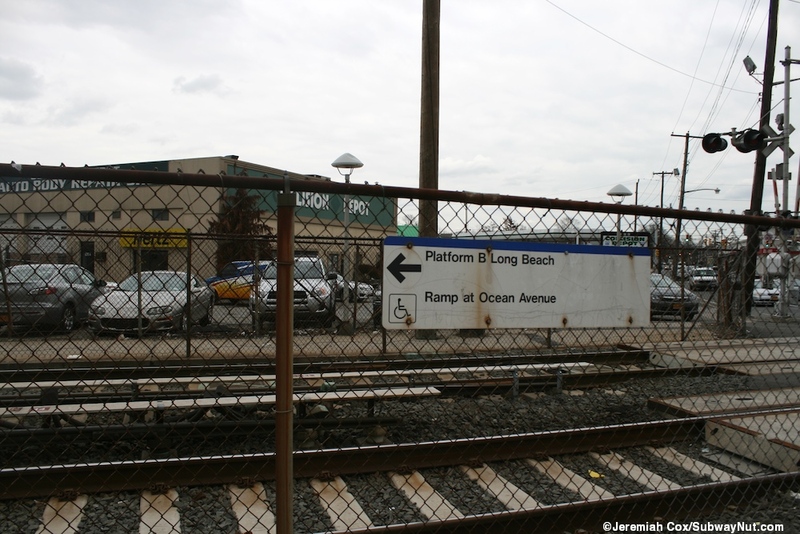 The stop has two 10 car silver fenced side platforms, for waiting passengers there is a single silver shelter on the Long Beach-bound platform and two on the westbound platform but no other canopies. 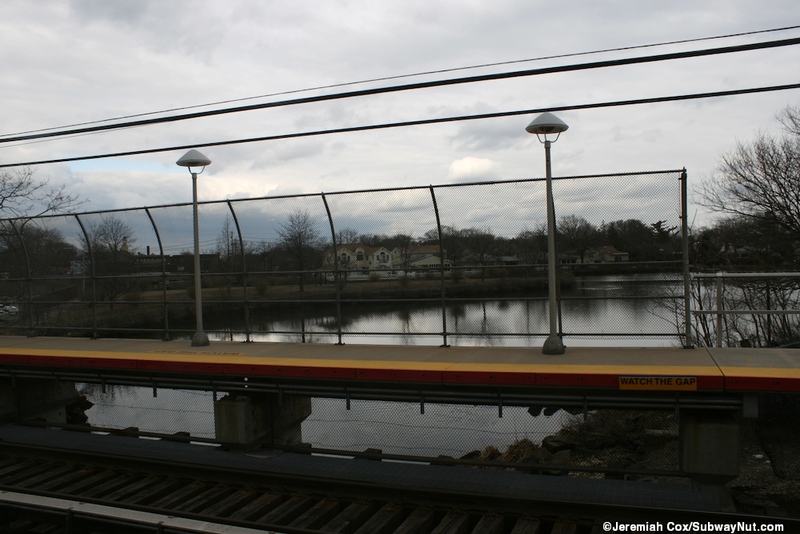 The platforms run between the grade crossings of Atlantic Avenue (southern end) to Ocean Avenue crossing the narrow Mill River (really more of a stream) in between on a wooden open bridge for the railroad tracks and the platforms supported by concrete piers. 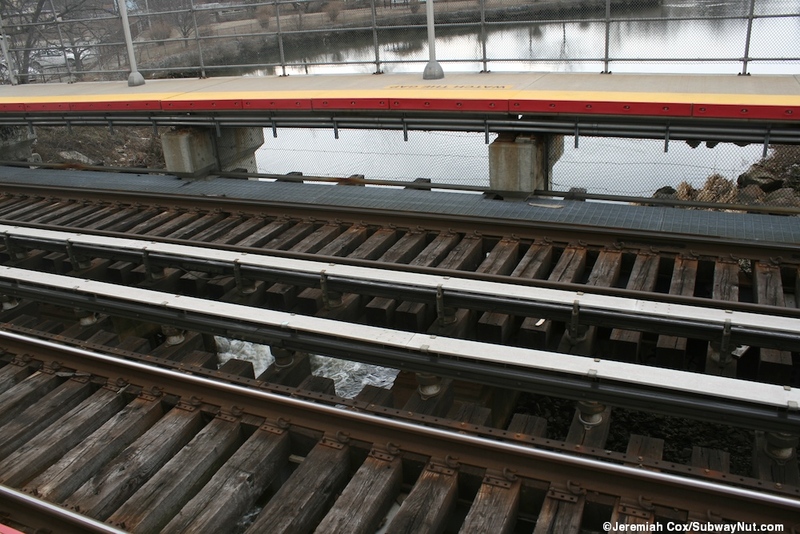 This bridge isn't enclosed allowing passengers to look through the track bed and under the opposite platform seeing water. 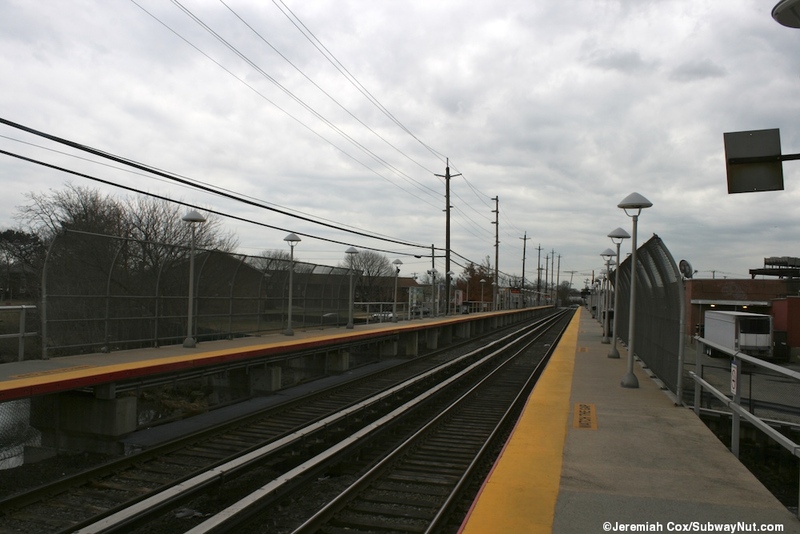 The platform walls do change from low silver fences to full eight foot high chain-link fences to make it much harder to jump off the platform. 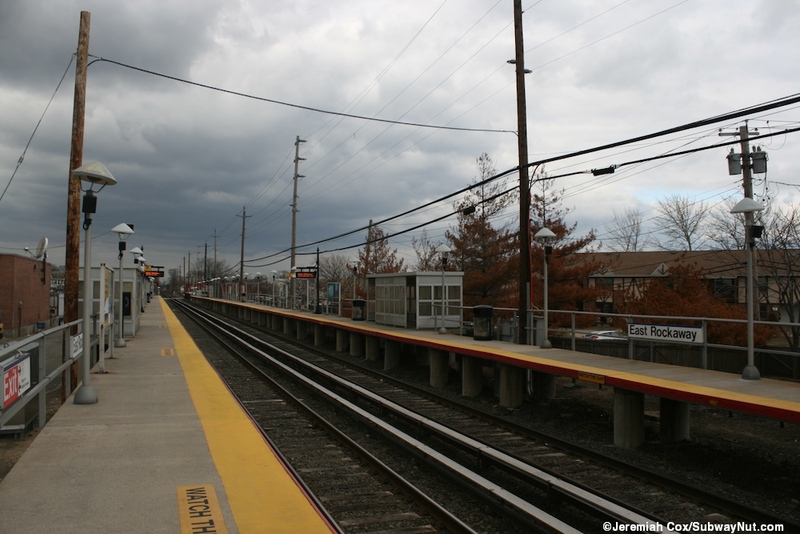 Access is provided from the grade crossings at each end of the station. 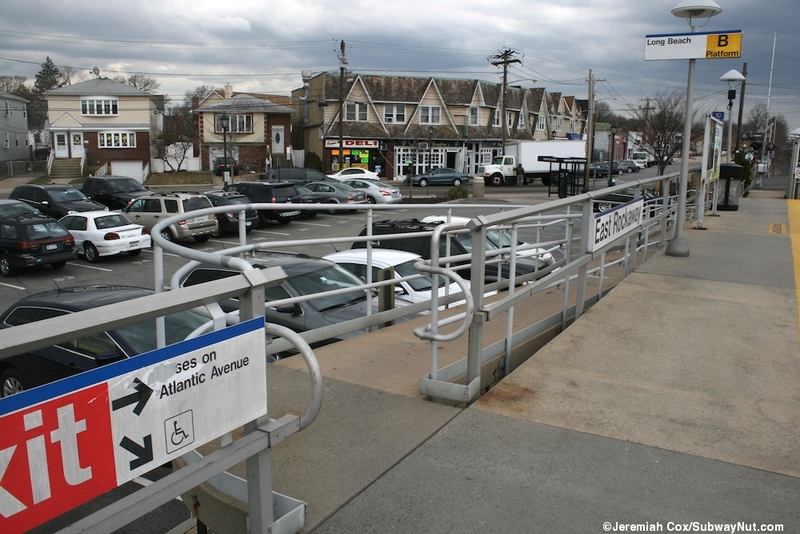 The Atlantic Avenue end has only a single staircase up to each platform at the very end of the platform, there are parking lots around each platform entrance but these are only for local businesses including a Pathmark. 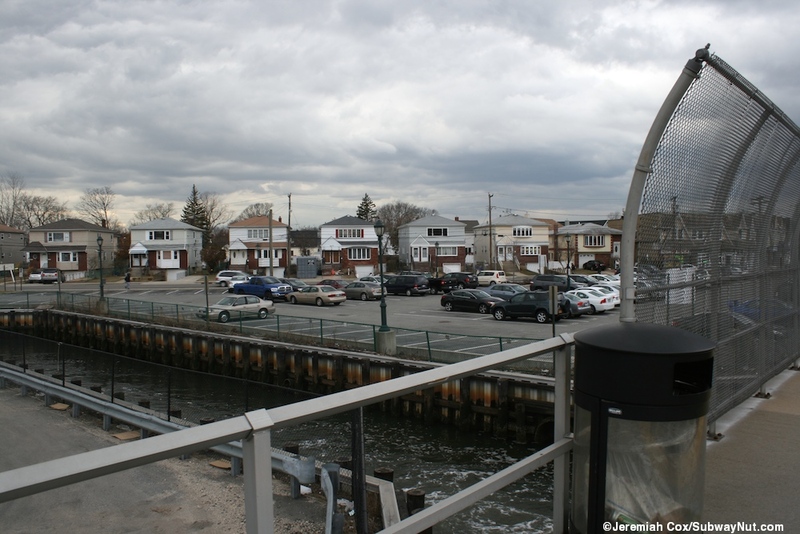 The Ocean Avenue end has small parking lots along each platform alongside the river with a combination of permit and daily parking meters. 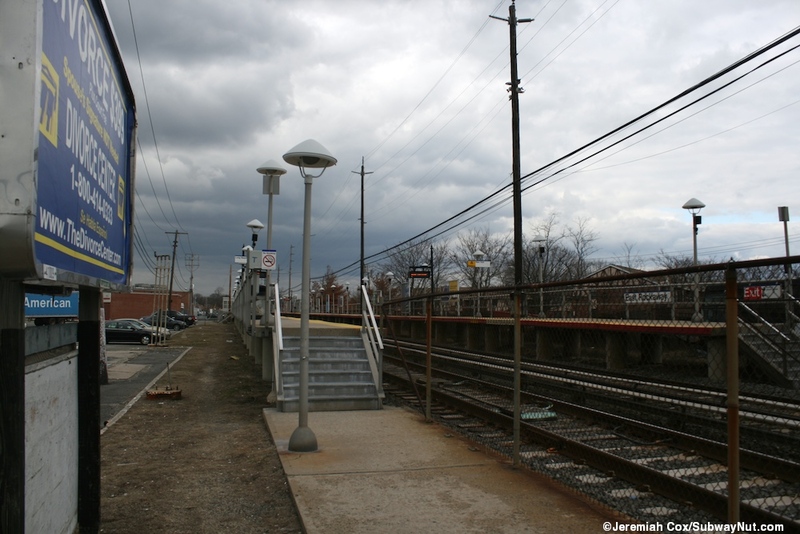 A single ramp and staircase leads up to each platform. 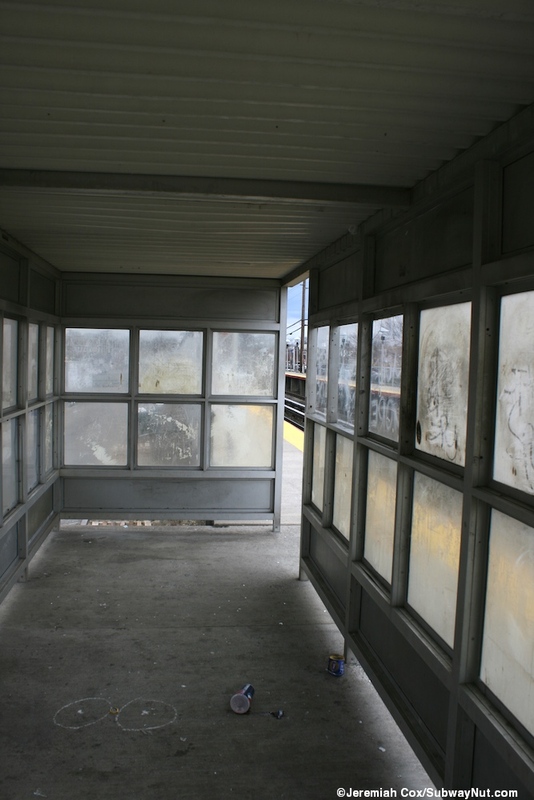 This is also where the stations only TVMs are located in a kiosk at the entrance to the Westbound platform.